Listen past the fun bit on trilobites to around 1 min 27 secs in where he makes a really important point about personality cults and gurus: “I know that I don’t know anything more than you know. Really… There are no experts. There is only the integrity of doing and having done.” I agree with what Terence has to say here completely. By the way, please ignore the various attempts that have been made to smear Terence’s name by those consciously or unconsciously serving the mind-control agenda of State agencies. Terence was a free spirit, with a powerful voice, a real threat to the establishment, and the establishment uses all manner of nefarious means and disinformation to taint and destroy the reputations of free spirits with powerful voices. I never knew Terence personally but it has been my privilege in recent years to become close friends with his brother Dennis McKenna, a lovely, good-hearted, eloquent man who continues to carry the McKenna torch. Dennis has kindly organised this speaking event for me in St Paul MN on the evening of 11 December: http://brotherhoodofthescreamingabyss.com/event/an-evening-with-graham-hancock/. Having spent much of the past few years listening to Terence’s lectures and now in the process of reading Dennis’ fabulous memoir on their lives “The Brotherhood of the Screaming Abyss” I must agree with what you have stated in your post. I can’t help but observe that both you and Terence spoke about Gnosticism and the Demiurge and I have suspected how some malevolent forces may compose the “establishment” that discount these ideas and keep us in a state of ignorance. We are very lucky to now have a medium, the Internet, what Terence anticipated far in advance of many others having a profound effect on how ideas are shared and cannot be censored or discredited so easily. It now seems to me that knowledge and freedom can overcome the ignorance and close-minded nature of the ivory towers and hopefully we can avoid or avert the sort of cataclysm you mention in Magicians of the Gods (just ordered it today, by the way, very excited to read it) before the cycle of amnesia repeats. Thank you for the work you do, I intend on following in yours and Terence’s footsteps as great synthesizers of information in an age of misinformation with my own research and work. You inspire me with your courage. Looking forward to the next time you have an event in the Southern California area. Thanks for the reminder about Terence! Always an enjoyable voice. Again, sorry for the off topic comment. No experts? That is pure nonsense. 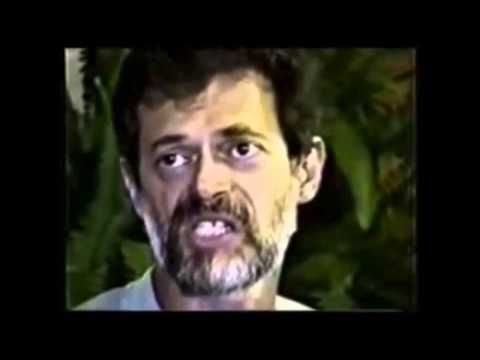 I do not like that you Graham are aggrandizing this Terence McKenna, a self confessed spook.